Deze stijlvolle en bijzondere vintage Soriana bank werd in 1969 ontworpen door Afra & Tobia Scarpa, twee Italiaanse ‘award winning’ postmoderne architecten en ontwerpers. Ontwerpen van hun hand kunnen teruggevonden worden in musea in Amerika en Europa, waaronder het MoMa en het Louvre. 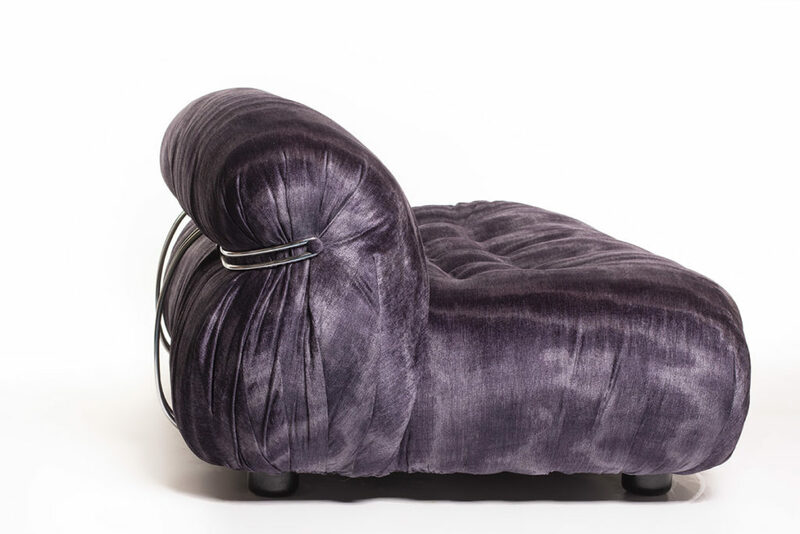 De bank is geproduceerd door de bekende Italiaanse luxe en vooruitstrevende meubelfabrikant Cassina. 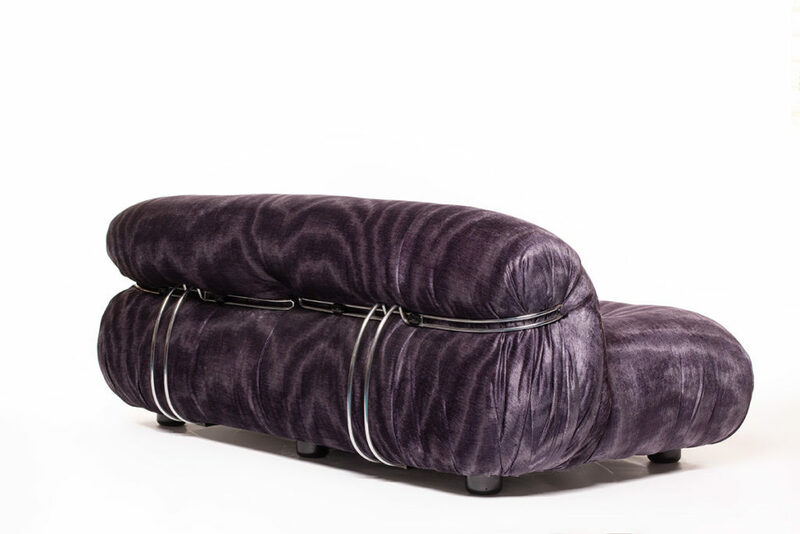 Deze prachtige Soriana bank is in perfecte staat en is aan de onderkant gelabeld door Cassina. Afmetingen: 175 cm breed, 95 cm diep en 65 cm hoog. 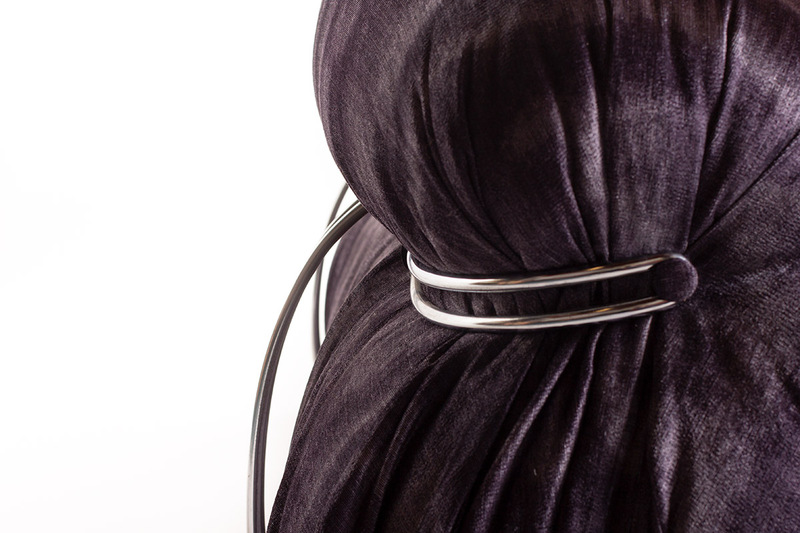 De prijs van dit stijlvolle design object is 3500 euro. This stylish and contemporary Soriana sofa was designed in 1969 by Afra & Tobia Scarpa, two Italian ‘award winning’ postmodern architects and designers. 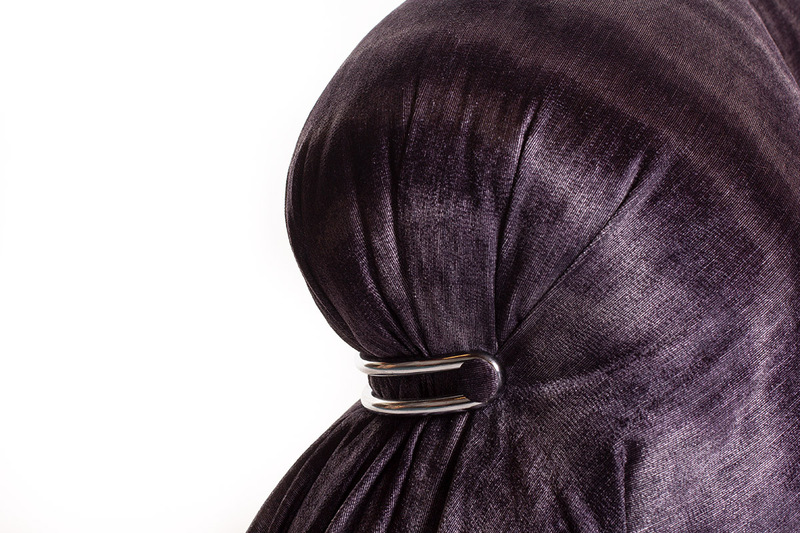 Designs by their hand can be found in museums in America and Europe, including the MoMa and Louvre. 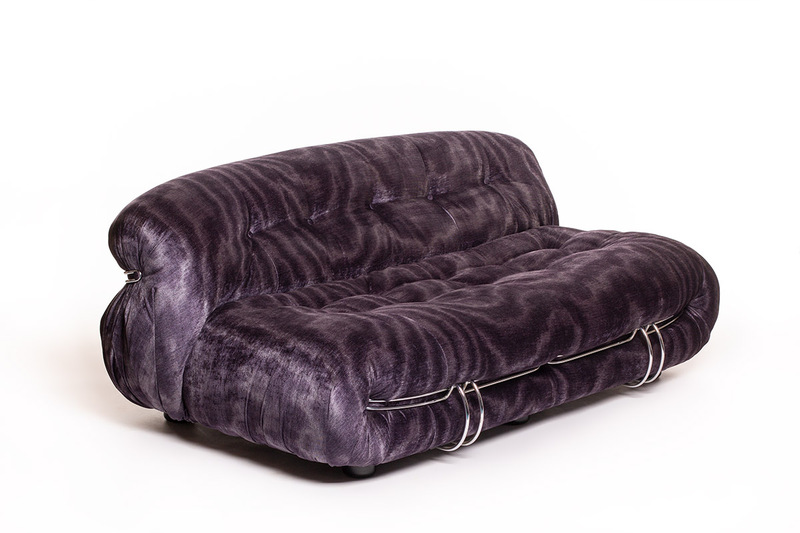 The sofa was produced by the well-known Italian luxury furniture manufacturer Cassina. 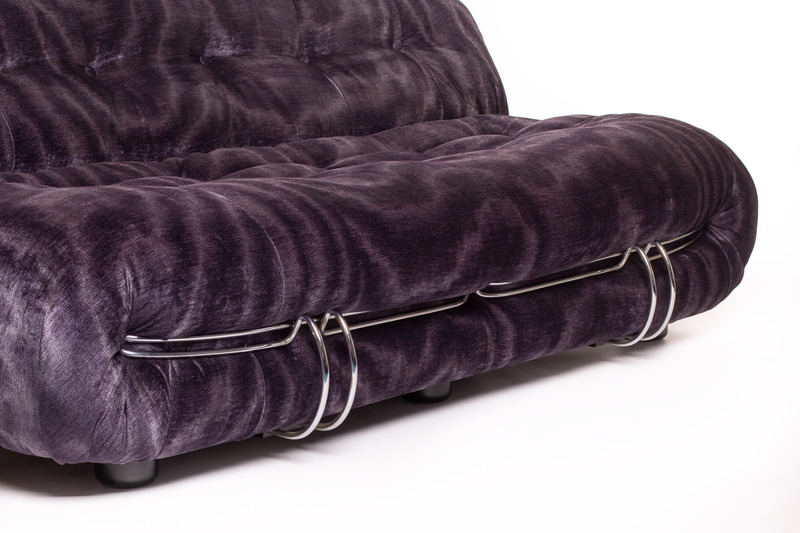 The exceptional sofa has a beautiful design with the chrome clamps and elegant round shapes. 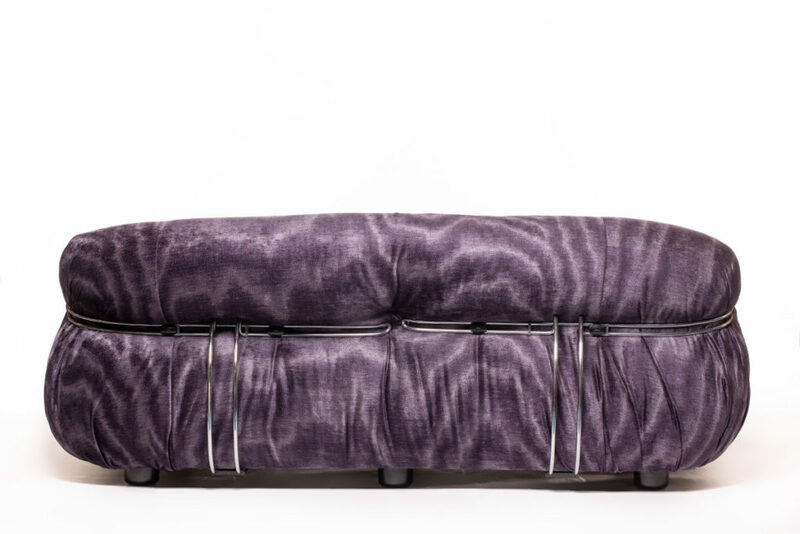 It is reupholstered with a beautiful bold velvet moire fabric (Jacopo Charolite) from the exclusive Zinc Textile series by Romo. Also the inside parts of the sofa (foam etc.) have been renewed, making the sofa very comfortable. 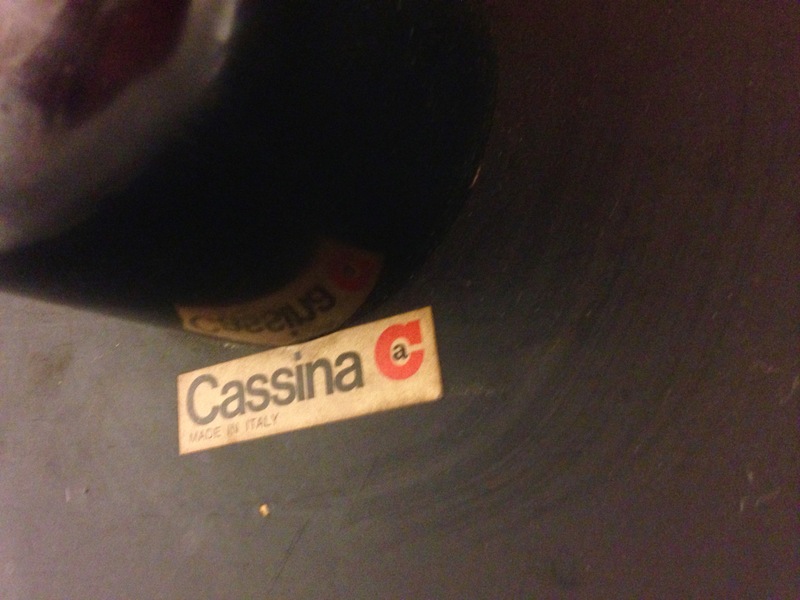 This beautiful object is in perfect condition and has a Cassina label on the bottom. Dimensions: 175 cm wide, 95 cm deep en 65 cm high. 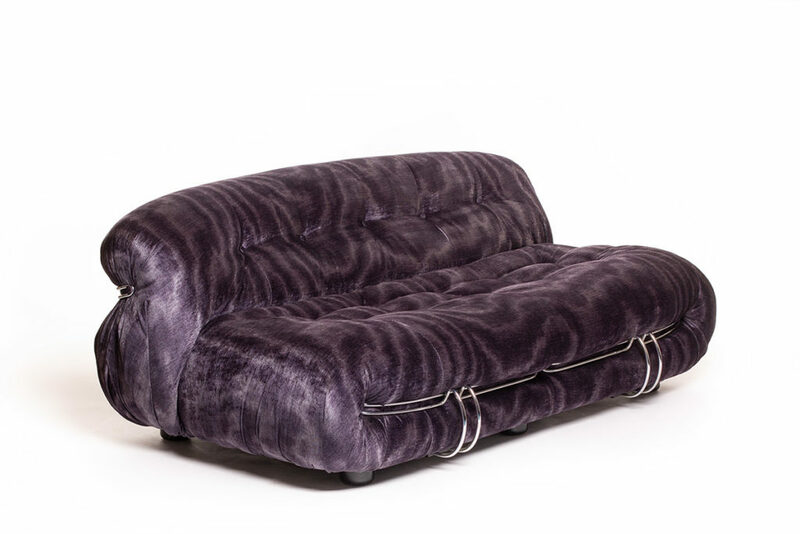 The price of this stunning Soriana sofa is 3500 euro.